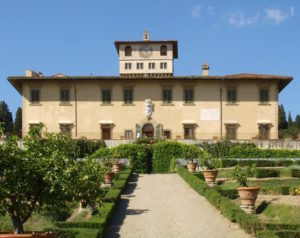 Two more installments in the “Enchanted Villas and Gardens” series bring music to Medici Villas, will take place Friday, June 8 at Villa La Petraia and Saturday, June 9 at Villa di Poggio a Caiano (both at 9:30 pm). The concerts will feature the talented Anna Fusek, a baroque musician who has performed recorder, piano, and violin on stages around the world. She will be accompanied by the 20-piece Orchestra della Toscana ensemble, mainly comprised of strings. First centering on the diversity of baroque style to fully display Fusek’s skill, the second half of the program settles on the music baroque mastermind and beloved Italian composer: Antonio Vivaldi. Tickets to the performance are €10 each, and can be acquired at Teatro Verdi online or at the concert. 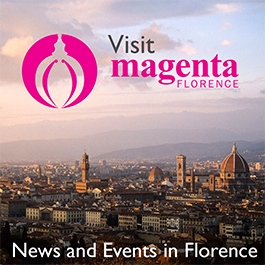 Before the concert, starting at 7:30 pm, guests can participate in free half-hour tours of these UNESCO world heritage sites given by guides from the Tuscan Museum Association. Reservations are recommended, and can be made by emailing villapoggioacaiano.info@beniculturali.it. The villas are a sight to behold. Villa La Petraia’s ballroom, its original furnishings and chandelier are must-sees. The historical building and the interior were mainly designed under the rule of the Medici family, but throughout the years several owners contributed to this centuries-old palace and enriched it with their own style. It was home to the mistress, and later wife of Vittorio Emmanuele II, Rosina, whose belongings are now on display. Villa la Petraia has sweeping views of Florence from its vantage point in addition to a frescoed courtyard and a beautiful terraced garden.